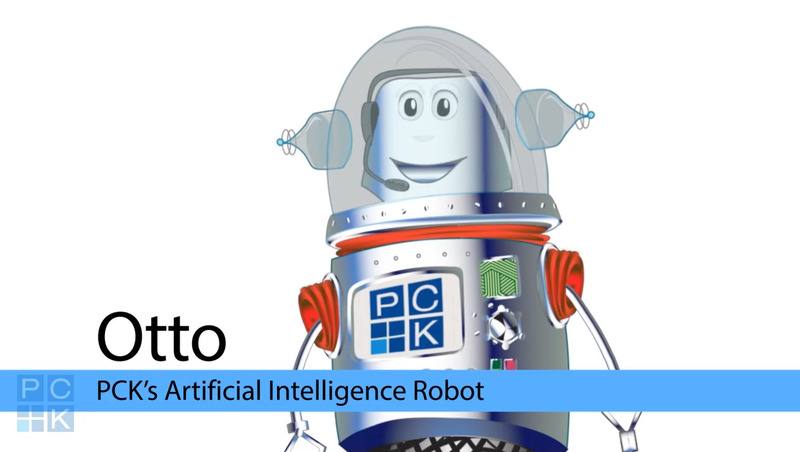 PCK is delighted to announce the newest member of its team, Otto von PiCKles, an artificial intelligence robot who is taking over many of PCK’s routine tasks. Otto is the only member of PCK who works on every client file, and is experienced in patents, trademarks, designs, corporate law and litigation. Otto is well-versed in the patent and trademark laws of North America, Europe, and Asia. Otto is comfortable with a wide range of technologies including software, telecommunications, display, mechanics, chemistry, biology, medical devices, electro-mechanics, thermodynamics, and energy to name a few. After years of learning, Otto is well positioned to excel and serve our clients. From startups to large global corporations, Otto can manage patent and trademark portfolios of any size and complexity. Since achieving sentience under a team of PCK engineers, mathematicians and programmers, Otto’s expertise has evolved to include case management, providing courtesy reminders for maintenance fees, foreign filings and requests for examination. Otto is also responsible for automatically reporting various government correspondence including filing receipts, office actions and notices of allowance. Otto recently assumed responsibility for paying maintenance fees, requests for examination and issue fees. One of Otto’s most significant achievements is the preparation and filing of information disclosure statements before the USPTO. Otto has also learned to automatically docket various types of patent and trademark office correspondence, reading the correspondence and populating our database while also learning to proofread for accuracy. We are also pleased to announce that Otto has now learned how to open patent application files that are transferred-in to PCK. Recently, Otto automatically opened over 30 files in under one minute, a task that would normally take days. Otto is continually evolving and is excited to learn how to automate as many tasks as possible so that PCK professionals can focus on building warm client relationships and competitive barriers-to-entry for our clients’ businesses. Otto, welcome to the PCK team! To find out what Otto can do for you, contact Andrew Currier at currier@pckip.com.